Two martyrs, brother and sister, who were put to death at Edessa during the persecutions of Emperor Trajan. Sarbelius, also called Sharbel, was a high priest at Edessa, in Mesopotamia. They were arrested for converting to the faith, and were tortured with red-hot irons prior to execution.Two martyrs, brother and sister, who were put to death at Edessa during the persecutions of Emperor Trajan. Sarbelius, also called Sharbel, was a high priest at Edessa, in Mesopotamia. They were arrested for converting to the faith, and were tortured with red-hot irons prior to execution. It is believed that Thomas was introduced to his philosophical influences – Aristotle, Averroes, and Maimonides – at the university, where he also met John of St. Julian, a Dominican preacher, who influenced him to join the recently founded Dominican Order. When Thomas’ family learned of his decision, his mother Theodora arranged for him to be moved to Paris. When Thomas was travelling to Rome, his brothers captured him and returned him to their parents at the castle of Monte San Giovanni Campano. In an effort to change Thomas’ mind, two of his brothers hired a prostitute to seduce him, but legends claim Thomas drove her off with a fire iron. That night, two angels appeared to him in a dream and strengthened his resolve to remain celibate. In 1248, Thomas chose to follow Mangus to the new studium generale at Cologne rather than accepting Pope Innocent IV’s offer to appoint him abbot of Monte Cassino as a Dominican. Though Thomas hesitated, when they reached the university, Mangus appointed him magister studentium. In 1252, Thomas returned to Paris to earn his master’s degree in theology. As an apprentice professor, he lectured on the Bible and devoted his final three years of his education to Peter Lombard’s Sentences. 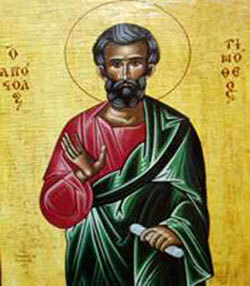 Thomas died on March 7, 1274 during a commentary on the Song of Songs. Thomas’ remains were placed in the Church of the Jacobins in Toulouse on January 28, 1369. Saint Thomas’ remains were moved to the Basilique de Sant-Sernin, Toulouse between 1789 and 1974. They were then returned to the Church of the Jacobins. Saint Thomas’ comments and philosophical writings are still debated today, and his aesthetic theories, such as the concept of claritas, deeply influenced the literary writings of James Joyce and Italian semiotician Umberto Eco. 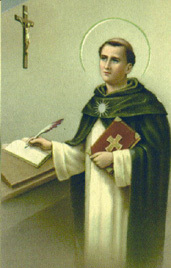 Saint Thomas is often depicted with an open book or writing with a quill. This I ask through Jesus Christ, true God and true man, living and reigning with You and the Father, forever and ever. 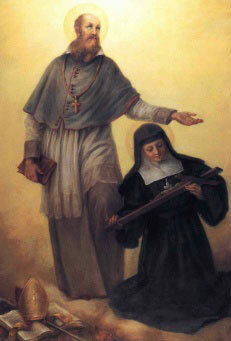 Carmelite Latinpatriarch and papal legate. Peter was born in Gascony, France and joined the Carmelites while still a young man. In 1342 he was appointed procurator of the order and, from Avignon, he oversaw the organization and government of the Carmelites. As Avignon was then the seat of the popes, he entered into their service, attracting papal attention because of his skills as a preacher and his elo­quence. Named to the papal diplomatic service, he held the post of papal legate to Genoa, Milan, and Venice, and was appointed bishop of Patti and Lipari in 1354, bishop of Coron in 1359, archbishop of Candia in 1363, and titular Patriarch of Constantinople in 1364. At the behest of Pope Urban V, he journeyed to Serbia, Hungary, and Constantinople in an effort to organize a crusade against the Turks. He took part in a military operation against Alexandria, Egypt, in 1365 during which he was severely wounded. He died from his injuries at Cyprus a few months later. While never formally canonized, his feast was permitted to the Carmelites in 1608. Born in France in 1567, Francis was a patient man. He knew for thirteen years that he had a vocation to the priesthood before he mentioned it to his family. When his father said that he wanted Francis to be a soldier and sent him to Paris to study, Francis said nothing. Then when he went to Padua to get a doctorate in law, he still kept quiet, but he studied theology and practiced mental prayer while getting into swordfights and going to parties. Even when his bishop told him if he wanted to be a priest that he thought that he would have a miter waiting for him someday, Francis uttered not a word. Why did Francis wait so long? Throughout his life he waited for God’s will to be clear. He never wanted to push his wishes on God, to the point where most of us would have been afraid that God would give up! He believed the worst sin was to judge someone or to gossip about them. Even if we say we do it out of love we’re still doing it to look better ourselves. But we should be as gentle and forgiving with ourselves as we should be with others. 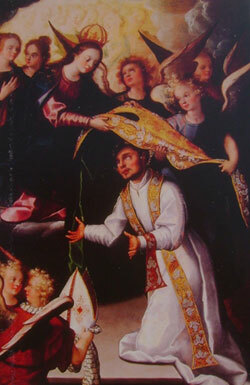 St. Ildephonsus is highly regarded in Spain and closely associated with devotion to the Blessed Virgin which he fostered by his famous work concerning her perpetual virginity. Born around 607, Ildephonsus came from a noble family and was probably a pupil of St. Isidore of Seville. While still quite young, he entered the Benedictine monastery of Agalia near Toledo and went on to become its Abbot. 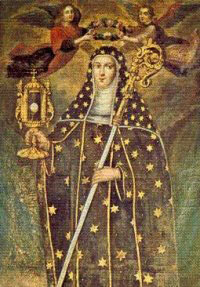 In that capacity he attended the Councils of Toledo in 653 and 655. 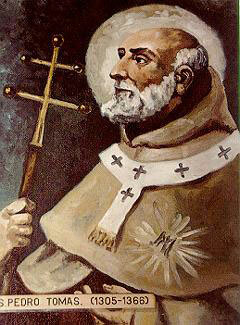 In 657 the clergy and people elected this holy man to succeed his uncle, St. Eugenius, as Archbishop of Toledo. He performed his episcopal duties with diligence and sanctity until his death in 667. This saint was a favorite subject for medieval artists, especially in connection with the legend of Our Lady’s appearance to present him with a chalice. St. Ildephonsus was a prolific writer, but unfortunately only four of his works have survived. Among these are the one already mentioned and an important document of the history of the Spanish Church during the first two-thirds of the seventh century, entitled Concerning Famous Men. 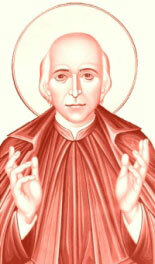 St. Vincent Pallotti, Priest (Feast – January 22) Born in Rome in 1795, St. Vincent became a priest and dedicated himself completely to God and cared for souls. He dreamed of gaining for Christ all non-Catholics, especially the Mohammedans. To this end he inaugurated a revolutionary program which envisaged the collaboration of the laity in the apostolate of the clergy. 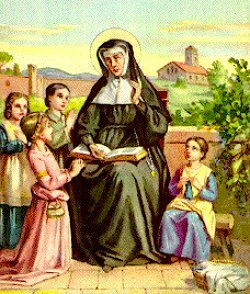 But St. Vincent was also well aware of the many deprivations in the natural sphere that hindered the spread of the Faith. He thus obtained and spent huge sums for the poor and underprivileged. He founded guilds for workers, agriculture schools, loan associations, orphanages and homes for girls – all of which made him the pioneer and precursor of Catholic Action. His great legacy was the congregation which he founded for urban mission work, known as the “Society for Catholic Action”. This indefatigable laborer for Christ in 1850 from a severe cold which he most likely caught on a cold rainy night after giving his cloak to a beggar who had none.